Here's an interesting combination. 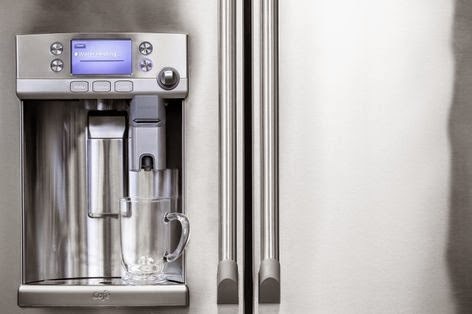 The latest in GE refrigerators is adding a Keurig into the mix on the door. You'll still need to add/swap the K-Cup, but the water will be built in, just like getting a cup of ice water from the door. Shop Craftsy's Flash Sale - Up to 50% Off!